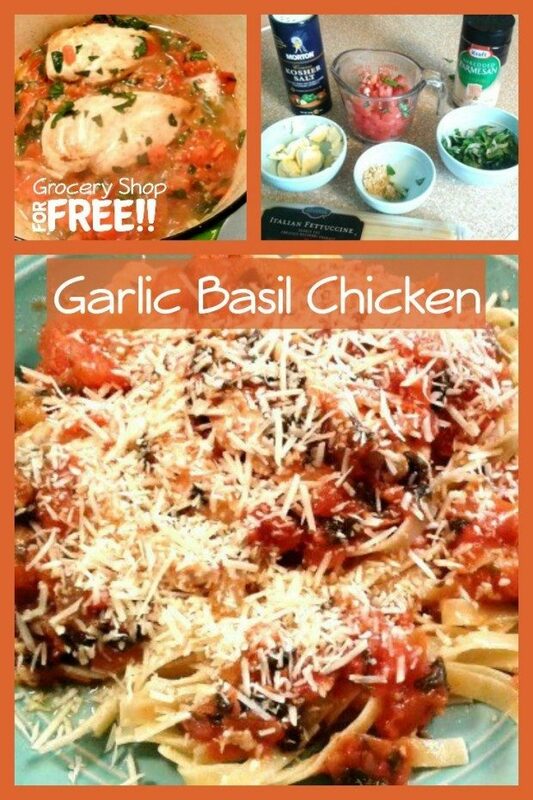 You are here: Home / Recipes / Dinner / Garlic Basil Chicken Recipe! 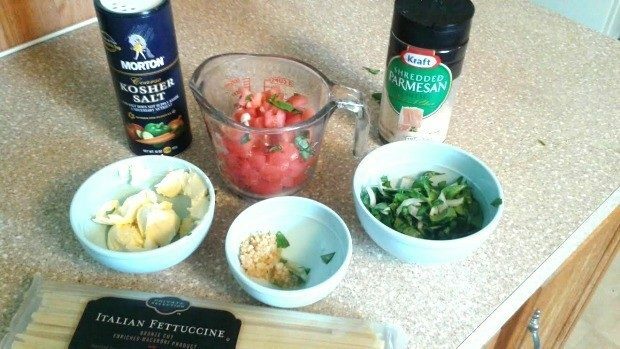 My DIL found a recipe she thought she’d like to try, and once she made her own take on it she wanted to share it with us! This Garlic Basil Chicken is delicious and super easy! As a Mom with a toddler it can be hard to spend a lot of time making a meal that is more than hot dogs or delivery! But, determined to make good meals plus having them be quick and easy, this was a great choice. You could replace many of the ingredients in this recipe with processed foods, but, it’s not difficult to use fresh ingredients and then you know exactly what your family is eating and that it is healthy. 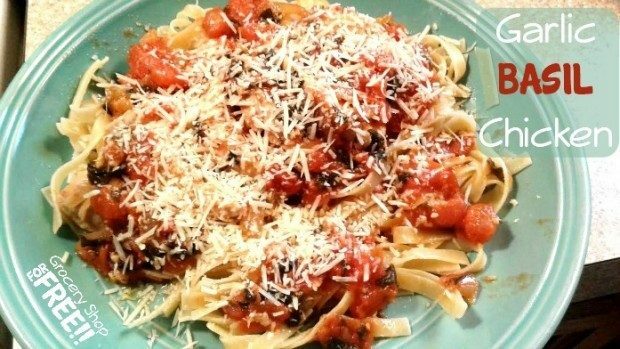 This took a total of around 30 mins to prepare: fast, easy, and delicious! Heat Olive Oil on medium-high heat in large pot. Add Chicken and cook 4-5 minutes on each side until cooked through. Slice Chicken into strips and serve over Fettuccine and add parmigiana cheese to top it all off!